Freelance writer specialising in arts, travel and entertainment news, previews and reviews. If you haven't managed to get your hands on the hottest theatre ticket this season, there's still a chance to see Benedict Cumberbatch play Hamlet live on the big screen. The Barbican Theatre production, directed by Lindsey Turner, will be shown in over 550 cinemas worldwide by National Theatre Live, a scheme which the star of BBC's Sherlock describes as "a great way of making the play accessible to a wider audience". The setting is the Castle of Elsinore, as an opulent palace with walls covered in family portraits, stag head hunting trophies and a fearsome array of weapons. A rocking horse and doll's house lie hidden under the staircase, relics of the lost innocence of childhood, as the plot delves deeper into the dark themes of death, deceit, intrigue. 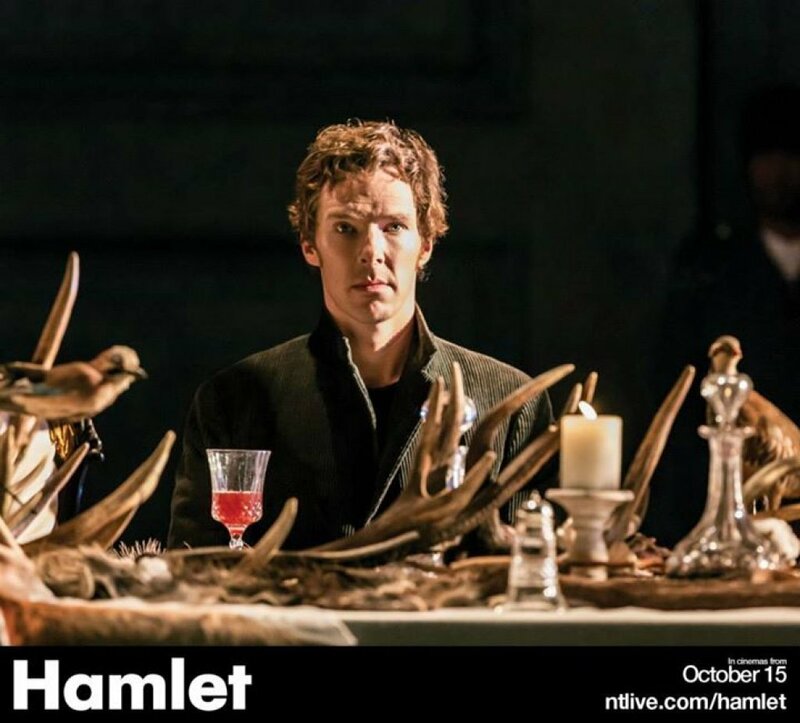 The opening tableau of the lavish wedding feast features white décor and costumes in stark contrast to Hamlet's black outfit, a reminder that he is still in mourning for his dead father, and shocked by the hasty marriage between his mother Gertrude (Anastasia Hille) and his scheming Uncle Claudius (Ciaran Hinds). In the second half, the original set, designed by Es Devlin, is covered in heaps of rubble, marking the road to ruin which embodies the moral decline of the realm. As King's Guard Marcellus sums up: "There's something rotten in the state of Denmark". UK: Picturehouse, Cineworld, Odeon, Vue, Empire, Showcase and independent cinemas. Australia: Luna Cinemas. More to follow soon. USA: Selected independent venues across the country. Ooooooh! Can't wait to see it! BC is such a GOOD actor!